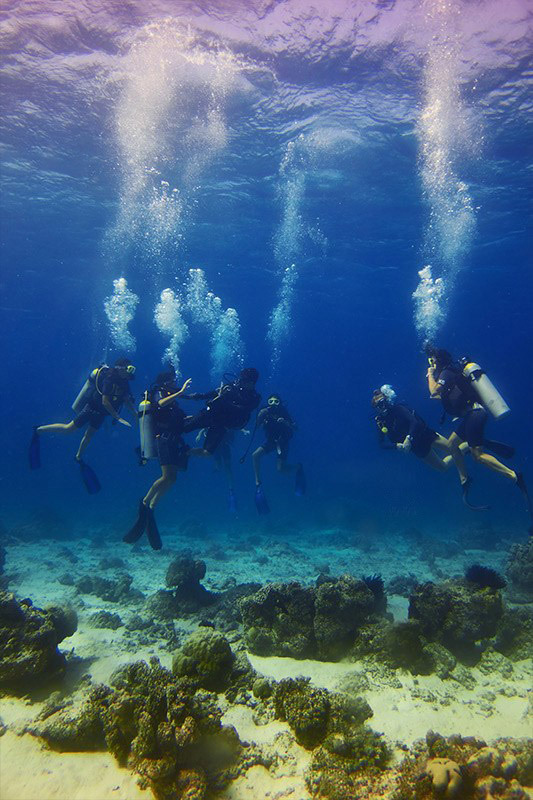 The Open Water Diver course will give you the access into the world of recreational diving. This world’s most popular dive course allows you to plan and execute a dive down to 18 meters with a certified dive buddy. Our three day course is conducted in small groups under the supervision of one of the experienced instructors. 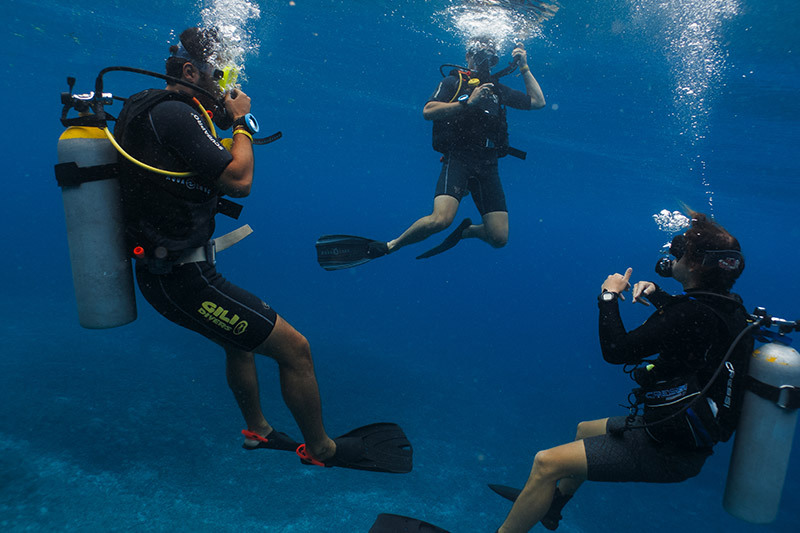 Theory – This is were we explain to you the important aspects of diving both verbally and with training videos. We will make every effort to break it up to keep things interesting. Confined water training – We start out in a swimming pool at standing depth to get used to breathing underwater. Through the gradual introduction of basic skills your confidence will increase surprisingly quickly. By the end of confined water session you will find you can control your position and depth with confidence an have mastered the basic equipment skills. Open Water dives – To complete the course we take you on 4 reef dives to the top dive sites on Gili Trawangan, Gili Meno and Gili Air. Your first two open water dives will be to a maximum of 12 meters, as well as taking in the amazing sites we will be helping you with your technique through out. The next two dives work you up to the maximum open water diver depth of 18 meters. To enroll in an Open Water Diver course (or Junior Open Water course) you must be minimum of 10 years old. You need decent swimming skills and you also need to be in good physical health. Kindly see the medical questionnaire here.